Acting President Lisa Freeman and the 2018 class of Forward, Together Forward Scholars. 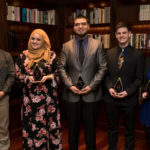 The 2018 winners of Northern Illinois University’s Forward, Together Forward Scholarships once again embody the diversity, strength and compassion of the five students lost on Feb. 14, 2008. Their excellence inside and outside of the classroom demonstrate why NIU will forever be defined by the success of its students, and not by the events of one dark day. 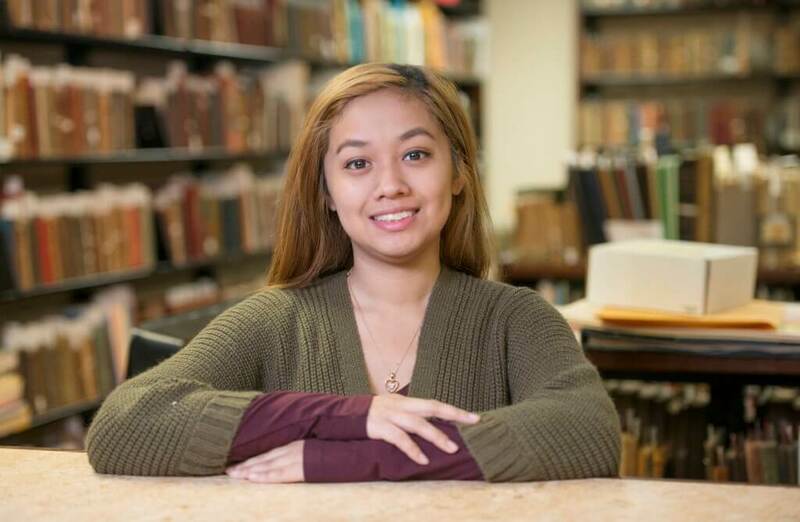 Lianne Abellar, a Filipino-American junior from Villa Park, says that refugees and childhood cancer inspired her to become an elementary school teacher. “As an NIU community, we owe it to these five students to dream, aspire and pursue,” she wrote on her Forward, Together Forward application. “Before my junior year of high school, I told myself I would never become a teacher. However, an experience as a teacher assistant and tutor for the Glen Ellyn Children Resource Center for immigrants and refugee students showed me how important school and an education are to families like this. Abellar wrote that being a cancer survivor also has led her to empathize with children who suffer. “At the age of 4, I was diagnosed with Wilms Tumor Stage 3. I lost my right kidney, my hair and my confidence. I hated going into kindergarten with only a bandana to conceal my bare head. I believed I was weak when I couldn’t participate in the same activities as my peers.” she wrote. Back on campus, Abellar is vice president of the Philippine Student Association. She also is active in the OHANA! peer mentor program and PLUSH (Promoting Leadership through Unconditional SisterHood). “From my experiences being surrounded by fellow Huskies, I know that I can help change the world, one meal at a time,” wrote Megan Gardner. The junior from Arlington Heights is majoring in Nutrition, Dietetics and Wellness. In addition, she has been working whenever she can to help those who don’t have enough dependable food, or who need better knowledge about what to eat to stay healthy. When students formed a Student Dietetic Association Education Committee this year, they made Gardner the president. This new committee is focused on providing nutritional and health-related education to NIU students who use the Huskie Food Pantry. “The hope for this committee is to also branch out to the DeKalb community,” she says. She also works with NIU Bread for the World, which raises money for, and awareness of, people with lack of access to food. Her activity in such endeavors is rooted in her high school days, when she traveled for one week of each summer to a Catholic Heart work camp to perform community service for neighborhoods in need. Those projects included staffing a soup kitchen, cleaning out homes, fixing roofs, painting houses and working on a clothing drive. On the non-charity level, Gardner also works now as a nutrition and wellness coordinator for NIU Housing and Dining. 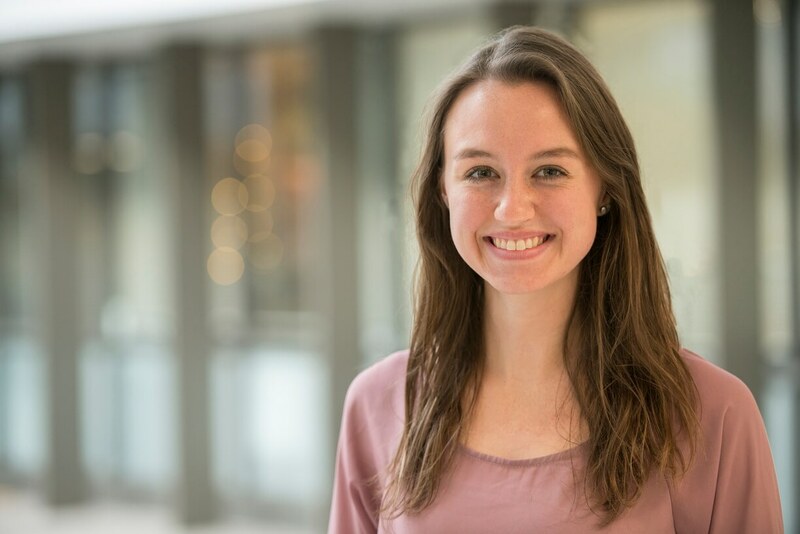 Working closely with NIU’s registered dietitian, Meg Burnham, her duties include nutrition education within the dining halls, planning monthly nutrition events, food demos and social media campaigns. She hopes that experience will serve her well in future endeavors. 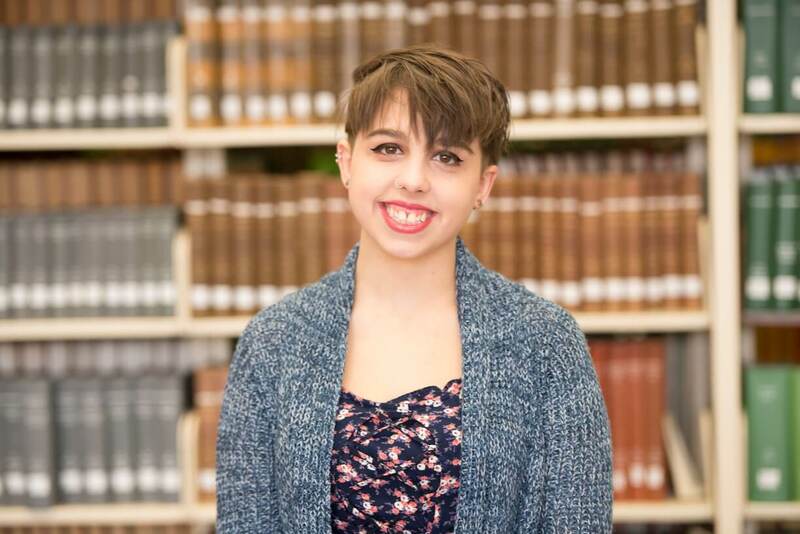 “A dream of mine is to go into a career in student affairs and adult and higher education. When I graduate from NIU, I hope to find myself at another institution, and then another, always working toward bettering college campuses. After grad school, I hope to go to law school and then come back to a university to work in student legal assistance,” she says. 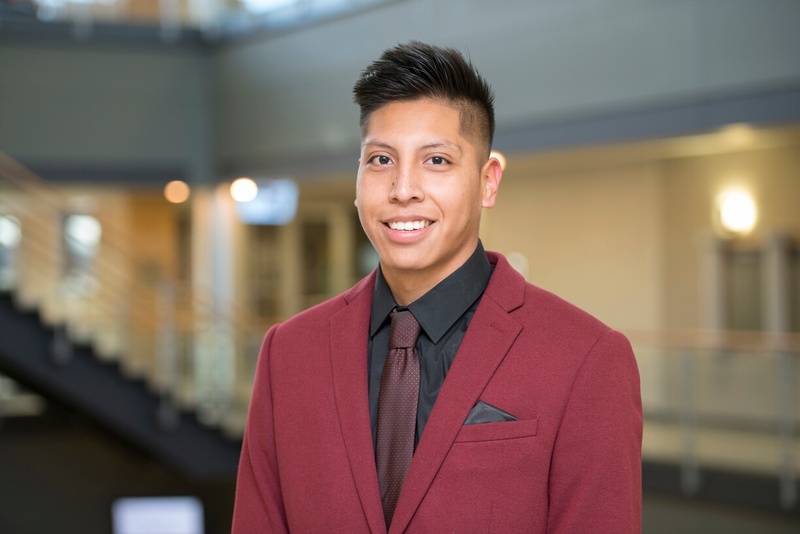 “I came into the university as a first-generation college student and commuter student, and despite being a nontraditional student, the staff made me feel like I was a part of the NIU Huskie community,” says Edgar Lopez, a Rochelle resident who drives to DeKalb classes as he majors in Business Administration. 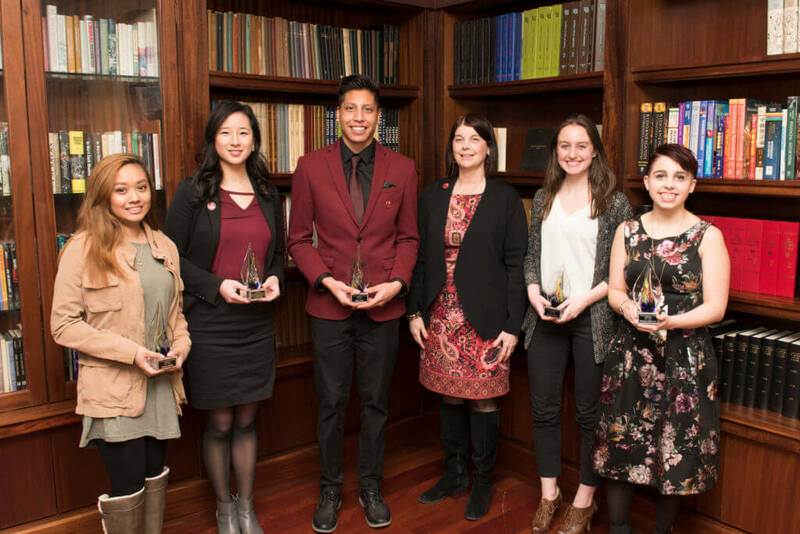 On campus, Lopez is active in the Huskie Service Scholars program, the Business Administration Student Association and the Northern Ambassadors. When the coordinator of the Huskie Service Scholars left NIU, Lopez applied for that job and was hired. Back home in Rochelle, meanwhile, the bilingual Lopez has become active in the local League of United Latin American Citizens (LULAC). He serves as an advocate for the Latino community in the fields of health, education and civic engagement in his hometown. “I am defying the expectations of people who said I should not be making it in college,” Lopez says. “Their negativity has motivated me even more to prove people wrong and defy statistics. Lopez is on track to graduate in 2020 and hopes to eventually earn a Master’s of Business Administration degree. “I would like to find a job where I can be financially successful,” he says. “My intentions are not to be the richest man on the planet nor compete in any way for the title. However, I realize that everything revolves around money. I want to use money for the greater good. 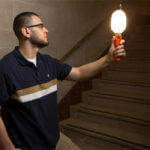 “NIU understands that a classroom can only educate so much. 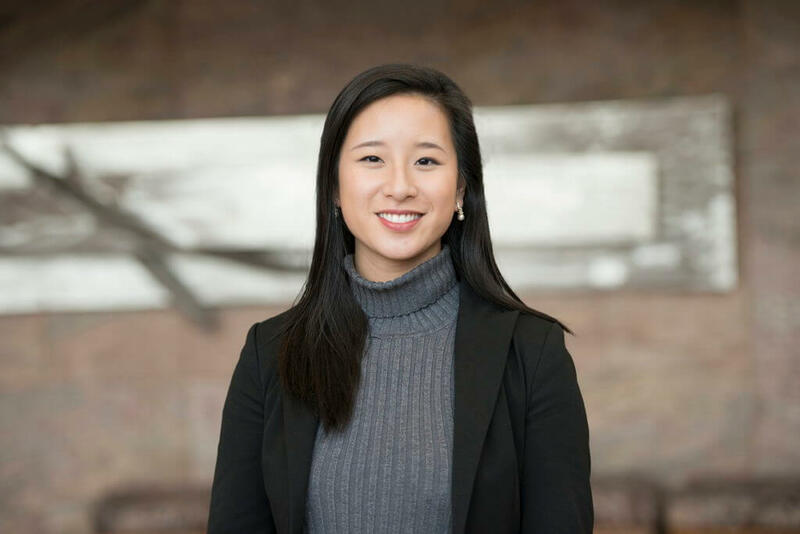 Hands-on, experiential learning is the key to success,” says Christine Wang who is double majoring Human Resource Management and Political Science while minoring in Spanish. The daughter of immigrants from Taiwan, Wang has not let many opportunities for that kind of learning go to waste as she works toward a career in law and public service. Wang has served as speaker of the Student Association Senate for the past two years. She has traveled to Springfield to lobby for higher education. She has studied abroad in five European countries. She spent part of 2016 interning with a Cook County Circuit Court judge and part of 2017 interning in the office of Congresswoman Cheri Bustos. During those internships, she says, “I heard real stories that made my heart hurt – stories of battered women. Neglected children. People who were about to become homeless. Although these people were looking for my help, they were the ones who helped me instead. The biggest lesson I learned was not the legal jargon – it was empathy. Lest anyone would dare complain that Wang isn’t well-rounded, she also plays violin in the Kishwaukee Symphony Orchestra. And when she somehow finds some time off, she enjoys fantasy and science fiction books, movies and TV shows. Next story Fixing damaged ecosystems: How much does restoration help?